For 40 years Shin Precision has manufactured products for various brands. 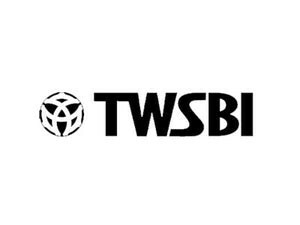 This accumulated knowledge resulted in the creation of Twsbi. The company's growth has been rapid. Points with pistons, transparent body, German points, excellent design, ergonomics, innovation and low prices. Together with pens, pen, pencils there are also fancy ink bottles. In the category of low cost pens Twsbi is the absolute market leader. The word TWSBI comes from the initials of the words "San Wen Tong" read backwards. In Chinese it means "Hall of the Three Cultures". Emperor Qianlong created a monument to exhibit the three great masterpieces of Chinese calligraphy. The word BI, in this great country, determines the magic of the writing objects. From this particular reasoning became the name of these unique objects. They pronounced Twiz-bee!